I bought it really cheaply. · I waited a month for delivery, but I have to wait. Highly Recommend written by mobile It's very good. Good luck. Good, big. Very good. Big, big. Big. Good. Highly Recommend written by mobile It is big and good. I'm kind. It was kind and well installed. I'm still in the process of being cleaned up. Okay ^^ I'm satisfied I'm only 75 inches thick Size is perfect! I like TV and I like it. I was a little unfriendly about the delivery article. The installation time is limited to the business hours, so you have to pay for the installation to get the installation. 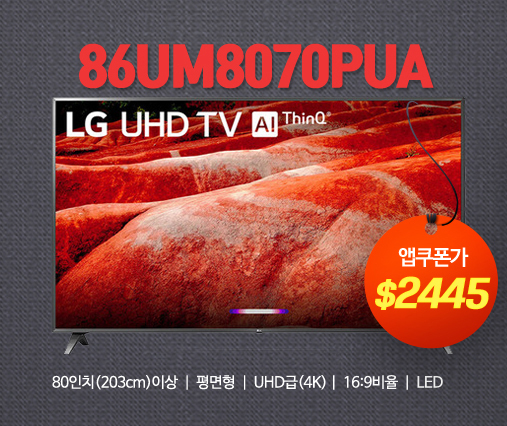 And the existing wall-mounted TV is also sold for 20,000 won. I installed it just before, but the picture quality is very good. Thank you for your kindness and meticulous care. I thought it was faster than the shipping idea and installed it well. I am satisfied with cursor satisfaction. I will stick with you. Do you need a pig's nose? By stance. How long is the distance between the stands and the legs? We do not know the distance between the stand legs. 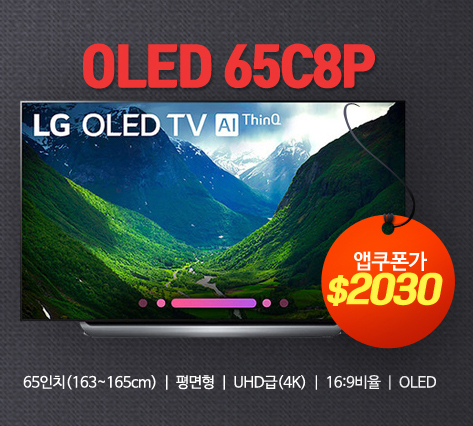 Please contact LG Customer Service Center to get the correct answer. Can I buy it as a wall mount instead of a stand? Is it possible to install a wall? How much does it cost? Will it ship to Jeju? Currently, delivery to Jeju Island is not possible. How long does it take to install it now? After the customs clearance is completed, domestic goods are handed over to domestic delivery and domestic delivery starts. It is estimated that about 4 ~ 5 days until the customs clearance is completed. It depends on the circumstances of the logistics. After the transfer to the delivery company, Happy Call will proceed. Please acknowledge the difficulty of presenting accurate schedule information at present. 11/14 It has been over a month since ordering. Is it coming or going?